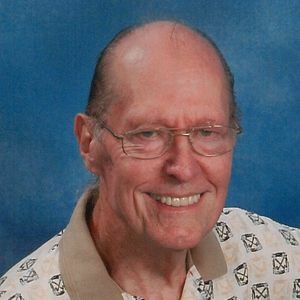 Richard Michael Hanula, age 87, passed away surrounded by family on March 28, 2019. Richard was born December 22, 1931, to the late Stephen Hanula and Helen Martha Molnar (nee Gulya) in Cleveland, Ohio. Richard was part of the Cathedral Latin High School class of 1949. He proudly served in the Korean War from 1949 to 1952 and graduated from Fenn College in 1958 with a degree in engineering. He was the inventor of and held patents for the Rotary railroad car F coupler (1981) and the Yoke for railway car coupler assembly (1985), both created while working at National Castings. Richard was a man of faith, compassion and selflessness. He will be remembered for his willingness to always lend a helping hand, being welcoming to all and becoming a beloved "grandpa"to so many. He loved spending time with his family, spoiling his pets, bowling and rooting for all Cleveland sports teams. Richard is survived by his children, Stephen (Sandy) Hanula, Matthew (Janette Reim) Hanula, Paula (Jim) Jackson, Michelle(Jim) Cortez, Monica Hanula; grandchildren, Danielle (Rob), Christopher (Melody), Sydney, Justin and J.T. ; great-grandchildren, Milah and Clover. In addition to his parents, he was preceded in death by his wife of 39 years, Paulina Hanula (nee Komonick); his siblings, Rosemary, Arthur and Mary Margaret; and his stepfather, Pete Molnar. The family would like to extend their thanks to Holy Family Hospice for the care they gave to Richard and the support they offered during this difficult time. Memorial contributions may be forwarded to Holy Family Hospice, 6707 State Rd., Parma, OH 44134. Add your thoughts, prayers or a condolence to Richard 's guestbook.